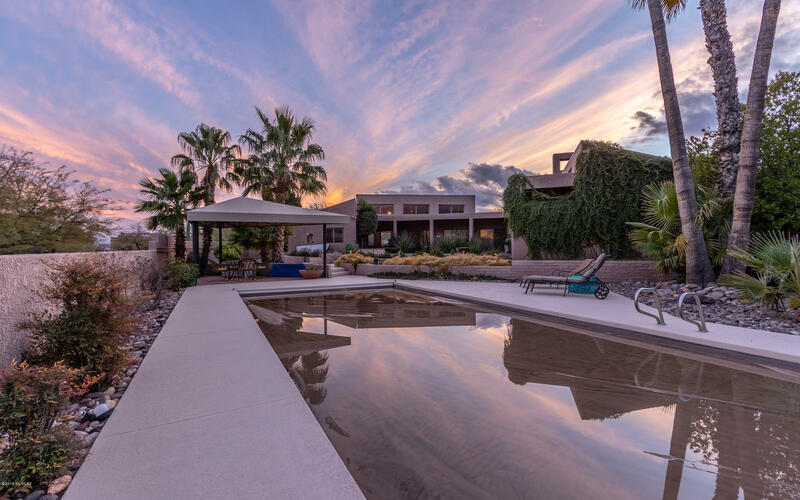 All Sabino Vista Hills (159-2 homes currently listed for sale in Tucson as of 04/23/2019 are shown below. You can change the search criteria at any time by pressing the 'Change Search' button below. "Custom Campisano home on north facing cul-de-sac lot w/ Catalina mtn views. Details include dramatic vaulted ceilings, clerestory windows, children's wing w/ connecting lofts. Focal points of family rm. include fireplace, vaulted wood-planked ceiling, inviting wet bar & ice maker. Island kitchen updated in 2016: granite countertops, cabinets & new appliances including double ovens. Master suite is tucked away in own wing, bath features jetted spa & walk-in shower w/ bench finished in natura"